More Bob Birthday stuff. 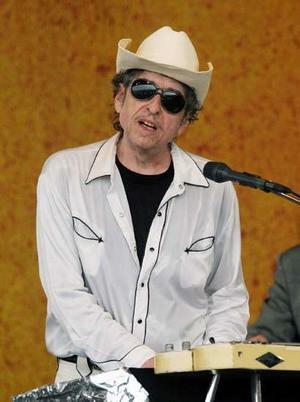 That's a photo of Bob on April 26, performing in his beloved�New Orleans. Lookin' good, Bob. Here's a whole-hearted performance of�Like a Rolling Stone from 1966. Tears of Rage from 1996, with one of his best bands, in my opinion. �Just Like a Woman�from 1971. Not Dark Yet, from 2006 (excellent recording). Bob's a good man. My opinion of him has vacillated over the last 40 years. But no matter, he loves him his music. I'll tie in the Cassius quote from awhile ago, he has spent his past 30 years in self questioning mode. Always a good thing, I think. Happy Birthday Bob!